Oh my. I came across a color copy of this 1990’s artifact the other day. 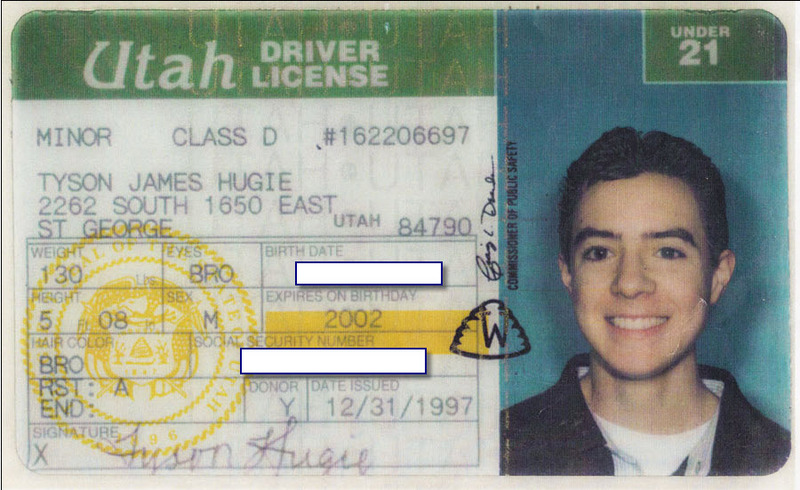 Issued the last day of 1997, I was 5-foot-8 and 130 pounds of ear-to-ear grinning 16-year-old. I’m pretty sure I bolted from the DMV and did a few cartwheels in the process as I was finally a fully legalized driver. While we’re looking back, here’s a shot from around that same era. 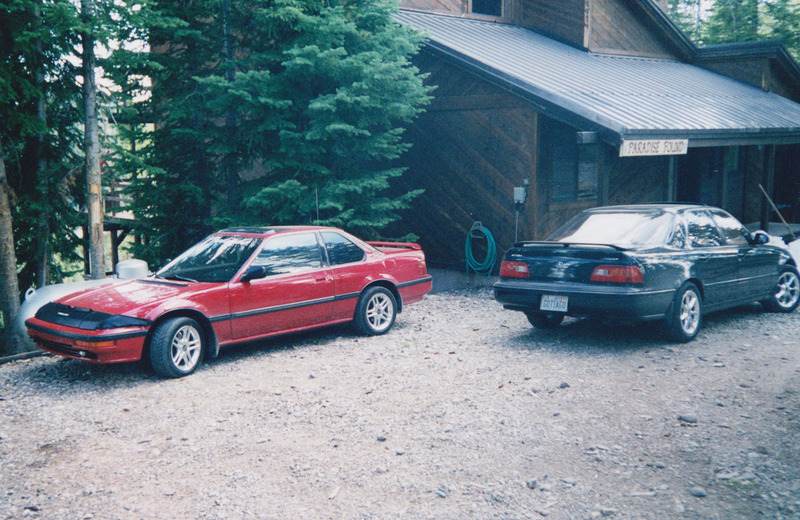 My 1989 Honda Prelude 2.0 Si at the time was equipped with some blingin’ 15″ Optima wheels. 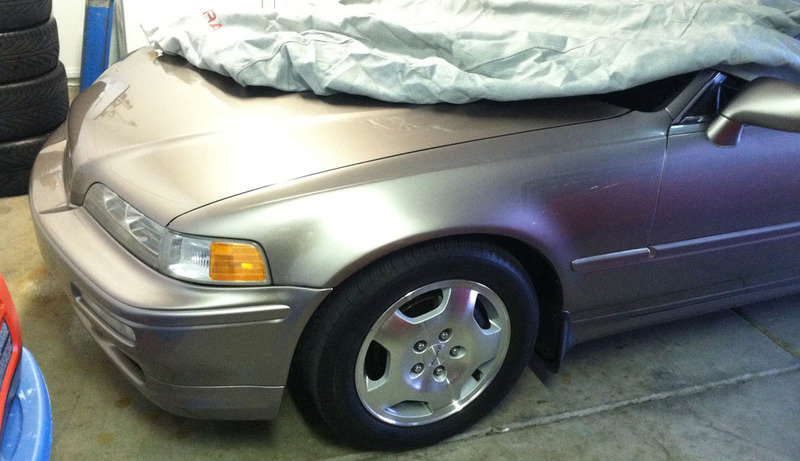 Mom’s 1993 Acura Legend L was looking pretty fly, too. This was taken in 1998 at my grandparents’ cabin near Elk Meadows Ski Resort in the mountains east of Beaver, Utah. I also scanned this beauty from around the same time. Grandma’s Chevy Beretta. It was a 1990, I think? I loved that car, and actually I still find Berettas attractive when I see them on the road. Call me crazy. 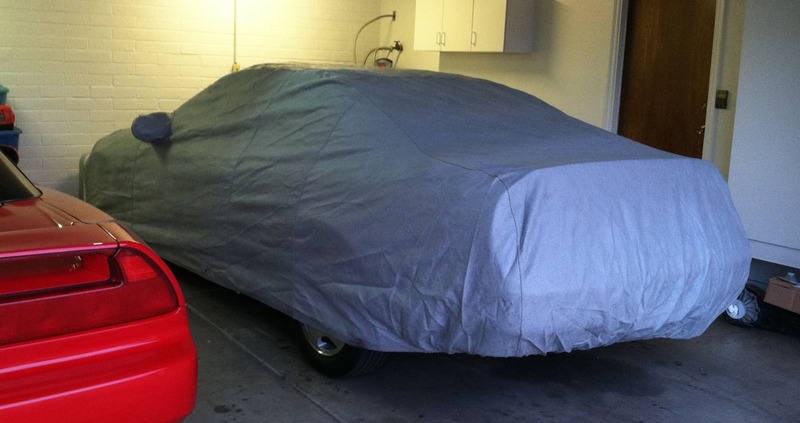 I finally got around to test-fitting an OEM Legend coupe cover that my friend Mark gave me several weeks ago. All bundled up! Perfect fit, just as I expected. Thanks, Mark! 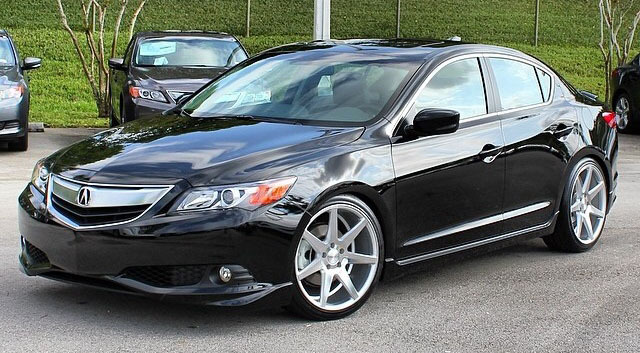 My friend Chris in NJ tipped me off on this stunning Crystal Black Pearl 2014 Acura ILX, customized by Acura of Pembroke Pines, Florida. 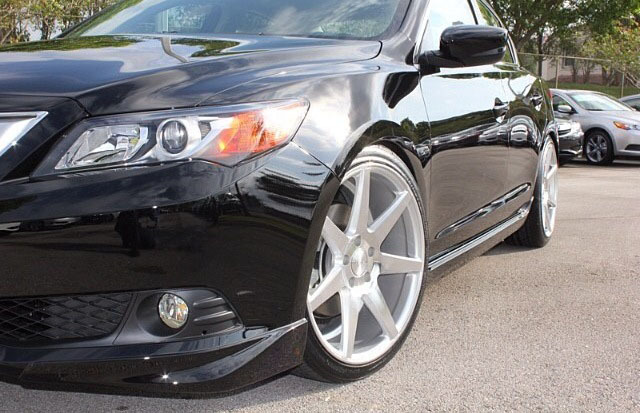 It’s sitting on 19″ Vossen wheels and stanced with Eibach lowering springs. I’m off to Utah until Sunday for some family festivities, so stay tuned for a trip write-up in the coming days. The ILX is closing in on the 25,000 mile home stretch to its first 100,000. Thanks for joining me on the way there! This entry was posted on April 18, 2014 at 7:14 am and is filed under Legend, Prelude, Throwback. You can follow any responses to this entry through the RSS 2.0 feed. You can leave a response, or trackback from your own site. You are quite brave to show your SS# over the internet (it is on the drivers license you posted in all it’s glory). Are you aware or ??? All gone! Thanks, I’d thought of that but forgotten to clean it up before posting today. Have a great weekend. HA! My first girlfriend had an ’88 Beretta. Ha, it was a sweet ride! 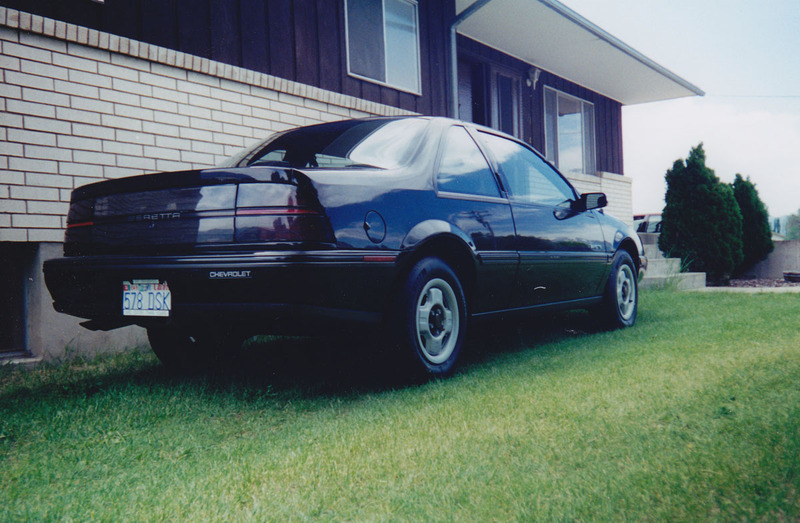 My other late 80’s GM crush was the 1989 Pontiac Grand Prix. Good eye, Kevin! It was actually “Go Tia Go” – Tia being my mom’s name. But, either way works! The upgrades on the ILX can really make it stand out. Some good choices on that black one. Agreed, I really love what some of the OEM accessories can do for any car. Yesterday at the gas station, I saw a new Accord sedan “Sport” with the factory underbody kit and it looked really nice! Hey I just bought an ILX yesterday and I’m looking to do the same thing to mine. Lower it a touch and add some nice wheels. Any advice would be much appreciated! Can you also let me know a price range of the whole process?